If you don't already...you will soon consider it the best guitar you've ever touched. So stupid question for anyone who may be in the know? Are there any differences other than the name between the EVH Axis guitars and the Axis guitars made now? The neck is slightly wider. The trem is no longer Gotoh, and the saddles are not offset. 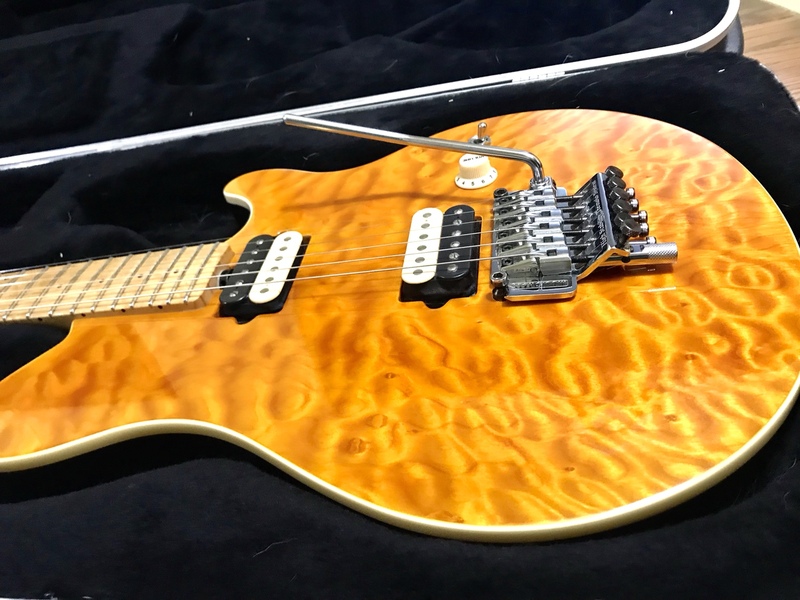 If you want an Axis that *is* the exact same guitar as the EVH signature, search Japanese auctions for the Axis EX.they were assembled in Japan, using the leftover parts from the EVH. They are identical. With the exception of the signature. As long as it's a Trans color, It *is* an EVH. The solid colors are made of alder.